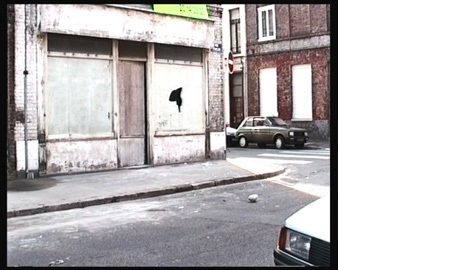 The brief action in Jimmie Durham’s video 13 Rue Fenelon can be seen as an architectural gesture. In a single moment, a stone, thrown from the inside out, breaks through the boundary and the distinction between the interior and exterior space. At the same time, the gesture refers to rebellion, uproar and political activism. It is through an action in the public space that a person stands up for himself. In spring 2012 the M HKA in Antwerp will be presenting a major retrospective of the work of Jimmie Durham. This artist, born in Arkansas, settled permanently in Europe in 1994 after a turbulent period in which he alternated his artistic activities with a life as an activist for the American Native Indian movement. His work is both profound and accessible, political and personal, both ‘of the moment’ and outside of all current trends.